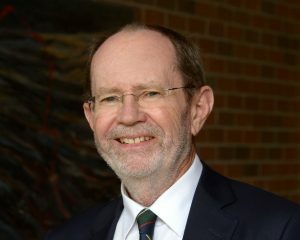 Dr. Ron Owston is University Professor Emeritus and Senior Scholar at York University, as well as former Dean of the Faculty of Education, and founding Director of the Institute for Research in Learning Technologies. A pioneer in teaching and learning with the web since its early days, Dr. Owston specializes in the evaluation of technology-based educational programs in K12, government, higher education, and continuing professional education. He has spoken at numerous national and international conferences about blended and online learning, authored/co-authored some 50 commissioned studies, and published over 60 articles in top-tier journals, including Educational Researcher, Teachers College Record, Research in the Teaching of English, Journal of Computer-Based Instruction, Journal of Information Technology in Teacher Education, Journal of Computer Assisted Learning, Internet & Higher Education, and Journal of Research on Computing in Education. Dr. Owston published one of the first academic examinations of the role of the Web for teaching and learning in Educational Researcher in 1997. His work has been funded by the Social Sciences and Humanities Research Council, Health Canada, the Government of Ontario, the Andrew Mellon Foundation, the Canadian Fund for Innovation, and a variety of school districts and industry partners. Over the last several years his publications have addressed blended learning in higher education courses. Currently, Dr. Owston ranks 12th in Google Scholar’s list of most cited blended learning researchers in the world. Having retired from York in 2018, he is now actively engaged in research consulting and public speaking via his company iResearch Inc.